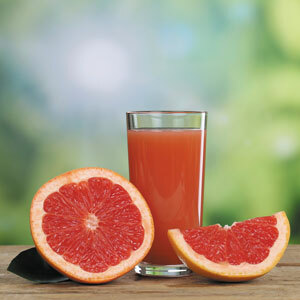 Q. I avoid grapefruit juice because my doctor says it affects how my body handles the Lipitor I take for my cholesterol. Should I also stay away from pomelo? A. The pomelo (also called shaddock, pumelo, pommelo, and Chinese grapefruit) is the largest citrus fruit, ranging from the size of a cantaloupe to that of a large watermelon. Botanists believe that crosses between pomelo and wild orange created grapefruit. Pomelo mixes the sweet taste of orange with the tang of lemon. Its lineage means that pomelo contains many of the same compounds as grapefruit.